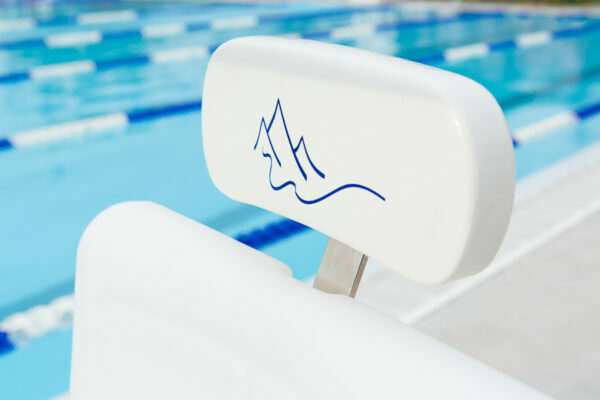 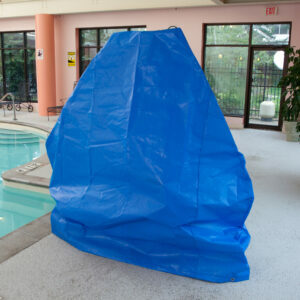 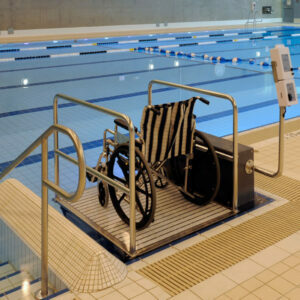 The Traveler II XRC500 aquatic access lift is designed for use on in-ground and above ground pools and spas. 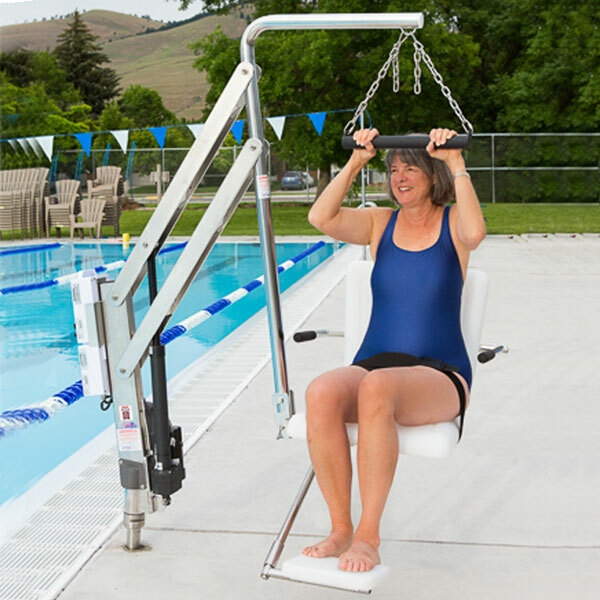 This robust lift features a lifting capacity of 500lbs and additional features like a transfer bar and swing-out footrest. 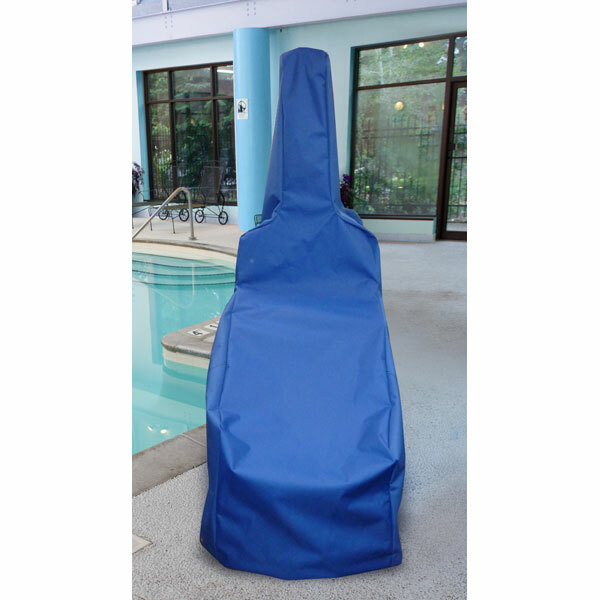 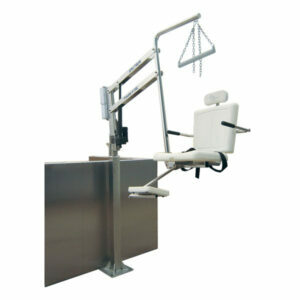 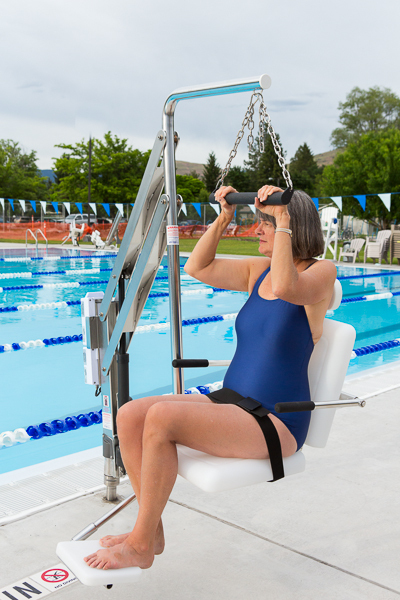 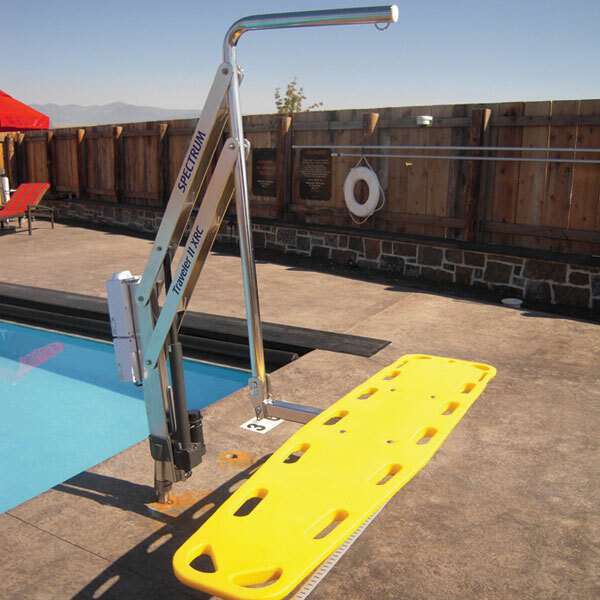 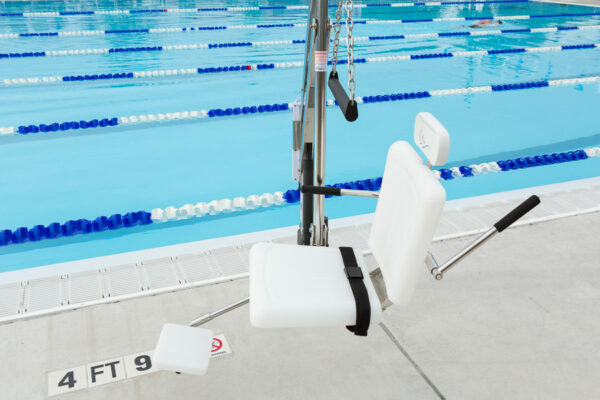 The Traveler II XRC500 aquatic access lift works with setback dimensions of 6″ to 33″. 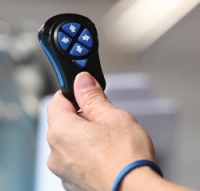 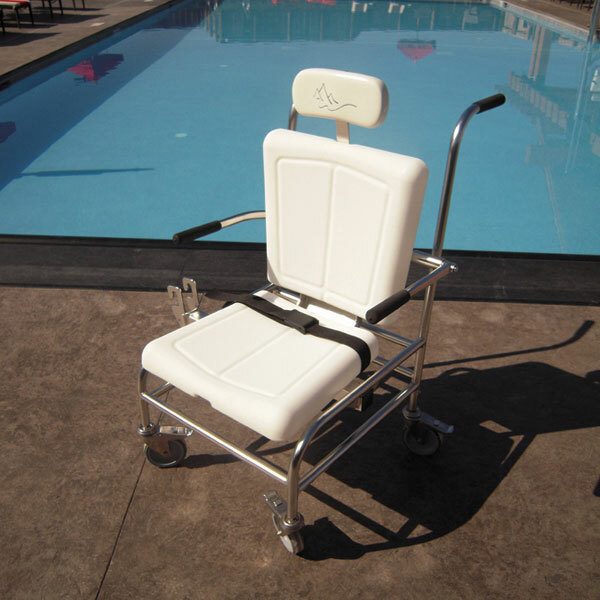 Includes: Two watertight remote controls, battery and battery charger, adjustable swing out footrest for ease of transfer, armrests with non-slip grip for safety and comfort, padded head rest, seat belt. 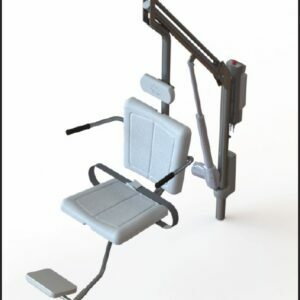 Anchor (SKU 23638), cover (SKU 54377), transport cart (SKU 54523), spineboard attachment (SKU 42323), wheelchair attachment (SKU 42932) sold separately.